Hey everyone, Mimo777 has just made a new post on the clue! You can find the image by searching on Google! 2) I get 75 comments on this post by this Friday. 3) I get more hits than Orbvab’s site. 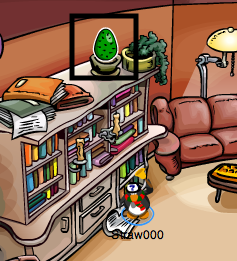 And if you came here to solve for Mimo777’s clues, PLEASE COMMENT! If you do not have any website or e-mail, use a fake one : D I won’t mind. I really want to have more comments! : D Thanks a lot! So this is what I am proposing. I will also post some hints to the answer, if you comment here and say so! Please post some comment to whether you want any of these. 😀 Have fun solving the clues! The party wIll be awesoMe if you comE! Here is the first clue. It decodes to SERVER IS ALASKA. His comment give a hint which is PARTY HINT! This is the third clue. This is the date clue. Good luck. Answer can be found in the comments. Rest and gO at steliOsboys party with Mood!!! The room is the forest. Use the coordinates and the hint to figure it out. The whole details of his party in one paragraph. Please go and have a look and try decoding it yourself! Now only do you get to go to his party, it is good practice in order to try and solve Mimo777’s clues! Also, I have updated my page! Please visit and comment! 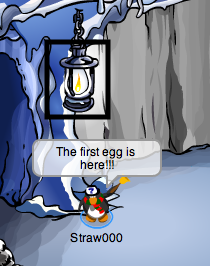 The first egg is at The Mine which is the “Underground”. 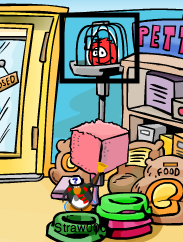 The fifth egg is at The Gift Shop, which is in the poster at The Gift Shop. 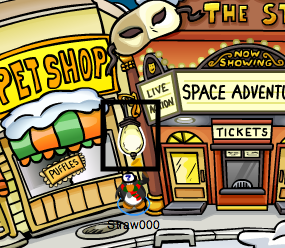 The sixth egg is at The Stage near the “mask”! Can you see the mask? 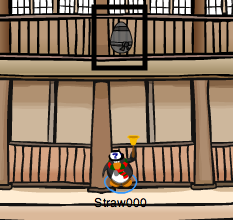 The eighth and last egg is at The Dojo. 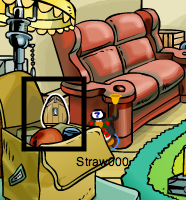 And it is a ninja egg which appears and disappears at random place! There are two ways to get it. When you are done, this is what you get. Claim your prize, because you deserve it! 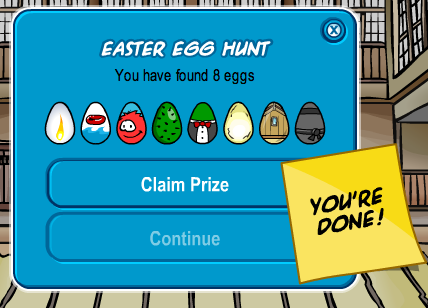 Go around wearing the Bunny Ears to show that you have completed your Easter Egg Hunt! : D And comment if you have done so! 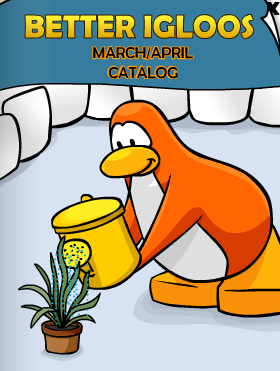 There is also a new awesome furniture catalog! : D Go and check it out! 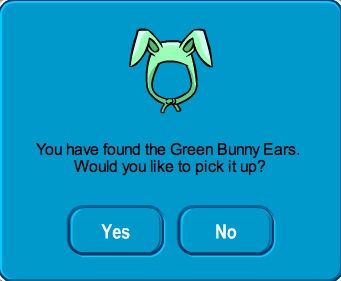 This year’s Bunny Ears is green while the previous years were pink and blue… So maybe next year’s one would be yellow? You can also use my new widget! 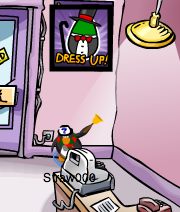 At the Club Penguin Improvement Project Blog, there are also some awesome updates! The Team is doing a great job and their wallpaper is awesome! : D Go and download it!